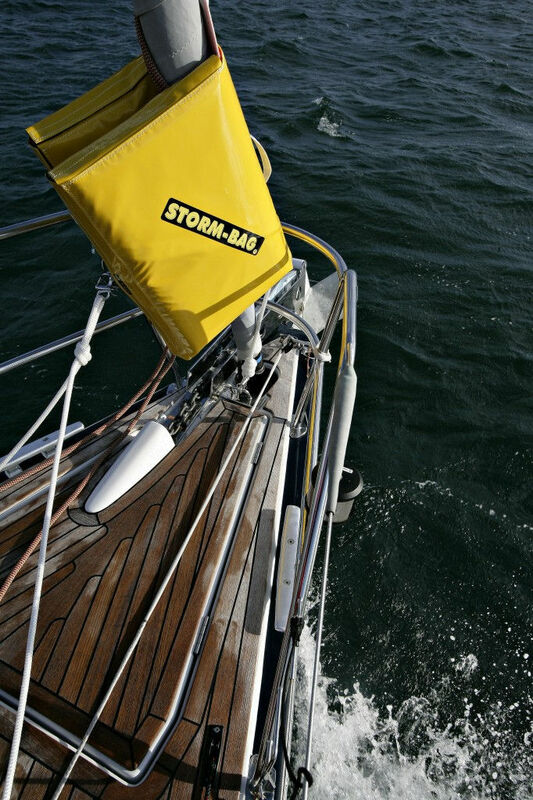 is practical and compact in its bag with its carrying handle, it takes up very little space on board. It is equipped with its sheets and its tack estrope with a carabiner. 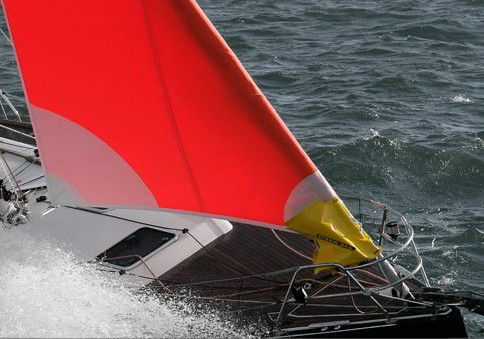 It is adaptable to all boats. Keep your reel tormentor if you change boats of the same category. A first point that distinguishes the reel tormentor from all other solutions is its complete packaging including the sheets and the tack cap with its carabiner. This is an insignificant aspect, because in the panic it will not be easy to find or improvise listening devices, it being understood that it is not a question of taking those of the furling genoa. A second important point also distinguishes it. Installation and shipping are done separately and not necessarily immediately. In the case of tormentins with snap hooks, as soon as the bag is removed and the flap released, the tormentine rises by itself and faseye violently before the departure of the crew member concerned by the manoeuvre. significantly longer preparation time for all solutions other than tourmentin for reel. 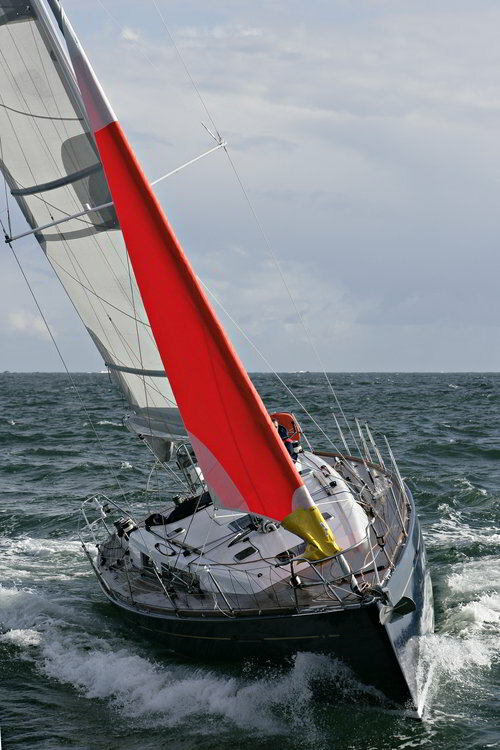 obligation to hoist the sail as soon as it is put in place for all solutions other than the furling tormentor. necessity of a headlamp at night to respect the correspondences between snap hooks and rings for the Gale Sail. need to have a crew member who helps the rather narrow sheath to slide over the clew of the furled genoa, especially when it comes to large yachts when this point is not accessible.